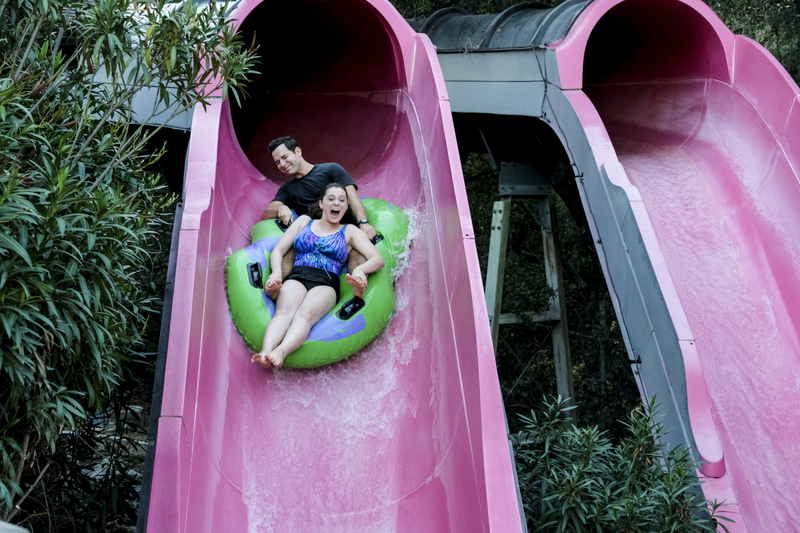 Preview images and spoiler description for the Crazy Ex-Girlfriend episode "I Need A Break"
“I Need A Break” is the title of the February 1 episode of Crazy Ex-Girlfriend and The CW has released some photos and a description to promote it! THE HAPPY PLACE — When Rebecca (Rachel Bloom) and Greg (Skylar Astin) take a day trip, things don’t go quite as planned. Meanwhile, Paula (Donna Lynne Champlin) has an incredibly stressful week. Scott Michael Foster, Vincent Rodriguez III, Pete Gardner, Vella Lovell and Gabrielle Ruiz also star. Ilana Pena wrote the episode, directed by Jack Dolgen (#412). Original airdate 2/1/2019. The new photos can be found in the slide show below. Crazy Ex-Girlfriend -- "I Need A Break" -- Image Number: CEG412b_0565.jpg -- Pictured (L-R): Skylar Astin as Greg and Rachel Bloom as Rebecca -- Photo: Erica Parise/The CW -- ÃÂ© 2019 The CW Network, LLC. All Rights Reserved.